So they may be going to make it a paid app, so get the application before that, if you are interested. Find the numbers not saved to contact list from the messages. 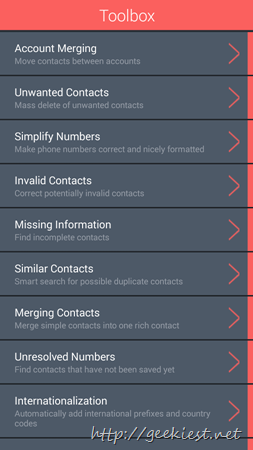 The chances of duplicate contacts will be high if you have saved many in to your contact list. 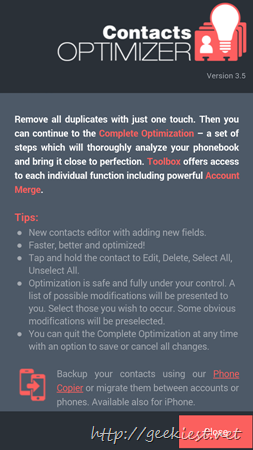 Contacts Optimizer can find them easily and can also remove them for you with ease. 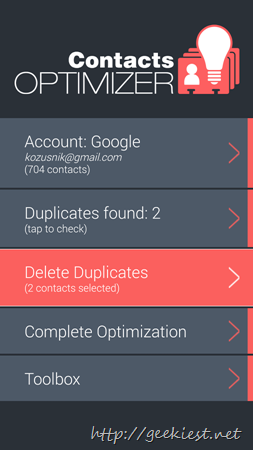 If you have more than one accounts you can easily merge them and then find and remove the duplicate to have a clean and tidy contact list. Google Contacts app is now available for all devices running on Android 5.0 Lollipop and above.